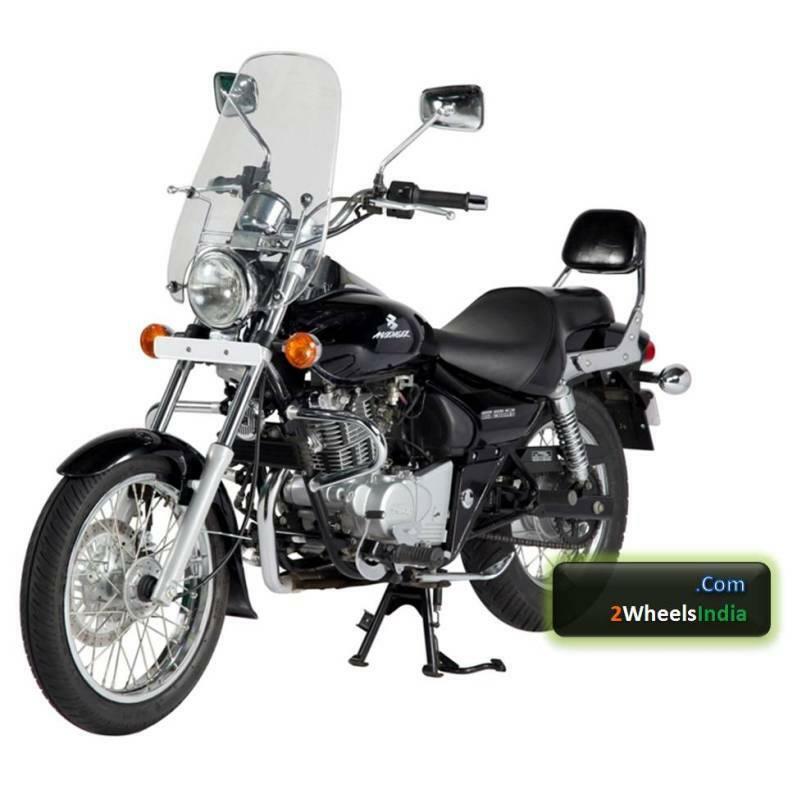 Complete (and accurate details) of the new Bajaj Avenger 220 DTS-i.. 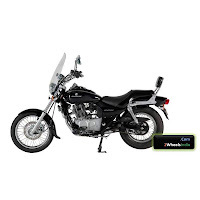 Yes, its confirmed now, Bajaj has upgraded the Avenger with its 220 cc engine. Posted below are its complete and accurate details along with its photos. Those who were expecting some visual changes in the new model will be disappointed. The bike looks nearly identical to the older model. The styling, color, optional wind screen, lights, tyres etc. everything looks the same as the older model. The changes in the New Avenger 220 DTS-i is actually skin deep. What's new in the Avenger 220 DTS-i? It means that the new Avenger 220 DTS-i is more powerful and has more grunt than the outgoing model. On paper the new engine seems to be develop more grunt at higher revs. This actually goes against the easy and laidback attitude of a "cruiser". There is an automotive saying that "there is no replacement for displacement", but it would take a test ride to reveal how this new engine performs on the Avenger. 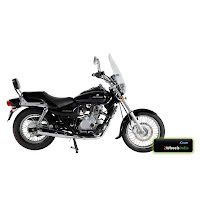 Which means like all the other bikes from Bajaj Auto stables, the headlight will provide a flicker free light. As the name suggests, the seat is made up of form of varying density. 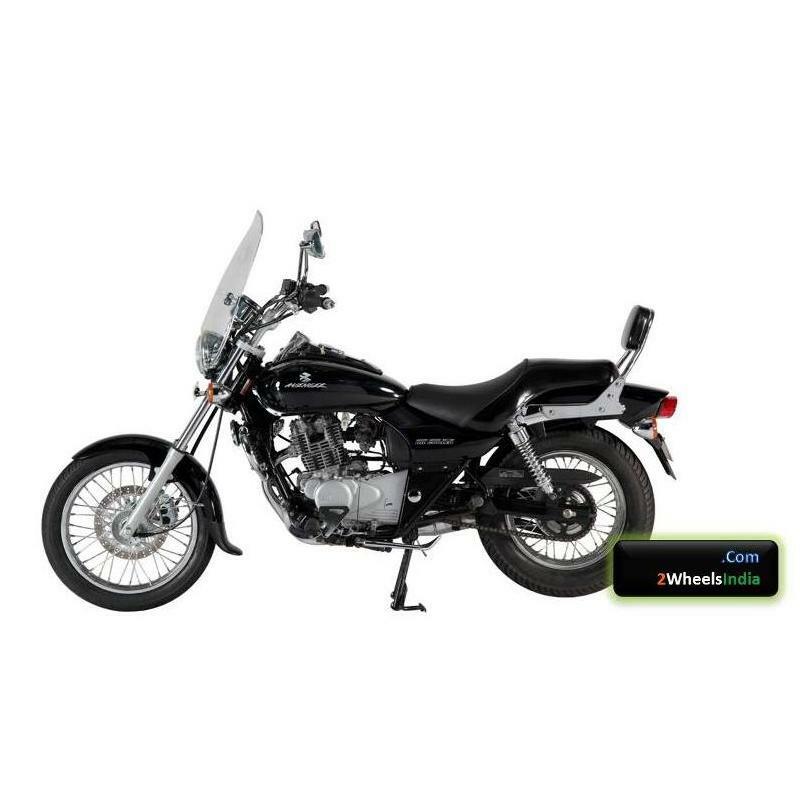 The portion for the rider is made up of softer material and the rear portion of the seat for the pillion is made up of firmer foam . 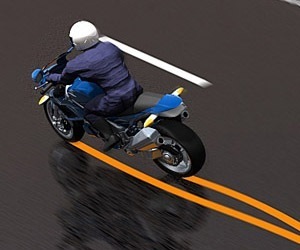 This has been done keeping in mind the comfort for both the rider and pillion. I am not sure if the older Avenger 200 had sealed O-ring chain, but this new Avenger 220 has got a sealed "O-ring" chain. Since the Avenger has got a half chain cover, the chain is always exposed to dust. A sealed O-ring chain keeps the chain lubricated for longer periods, and for an exposed chain, its better that it is of the "O-ring" type. 1. The Avenger 220 DTS-i gets "Auto Cancel indicators" like the Pulsar 150/180/220. Correction: The Avenger gets the normal push to cancel turn indicators switches. 2. The ignition switch of the Avenger 220 DTS-i has been positioned in the center, near the speedometer display. Correction: As it can be seen in the photo posted below, the ignition switch is still positioned (in the classic cruiser style) below the the felt side of the fuel tank. The above pricing indicates that the new Avenger 220 DTS-i is about Rs. 3,000 dearer than the older one and still about Rs. 2,000 cheaper than the Pulsar 220S DTS-i. This is to remind that the Views or Opinions in the blog are entirely mine unless explicitly stated. The Views and Opinions published in this blog should in no way be related to any other person or organization associated -- directly or indirectly -- with me. 1) If this is the same engine doing the job on the Pulsar 220F, then why scale down the power and torque?? 2) Why give the rear disk brake a miss?? 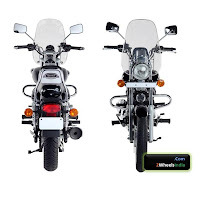 3) Really man Bajaj should have really thought about making the bike visually a bit different than the predecessors. Bajaj could have given ATLEAST Fz like low profile 140mm tyres. I agree the bike could have been made visually a bit different and a few new features could have been added. But then in the absense of any direct competition to Avenger, would such visual difference really push up the sales by a significant margin? The market is all driven by competition. Will have to take the new Avenger for a spin to see how the "mildly tuned" 220 cc engine performs on the Avenger. @Anonymous above, the Avenger already has quite wide tyres, 130 mm.. and putting low profile tyres will only have the already slightly stiffer ride at the rear more uncomfortable. Am sure, looking at these numbers, the bike feels enticing. However, having owned and driven the Avenger 200 for more than one year, here's my opinion. As a cruising machine, this bike needs a hell lot more. Am not talking about power or things like that. Am just talking about very basic things. The braking is rather 'jerky'. If you apply the brakes hard, the handle bar doesn't stay straight. It turns sideways; don't know why that happens. Is it coz it's too light? Is it coz the front wheel is too thin? Or is it just lack of consideration on dynamics of a cruise-biking? The front wheel just gives in... This is a serious problem with the bike. Anybody's who's driven it for some time might be able to vouch for this. The chrome and all look good but this bike still lacks the refinement you would expect of a cruiser. Guess, the engine adapted from Pulsar falls way short even after a good amount of tweaking to give a great cruising experience. Am not a person who dissect bike-engineering technically can but I definitely 'feel' there are some serious problems which cast a doubt on the character of this bike as a 'cruiser'. guess bajaj does not want to spend on new dies ! You are correct about the braking issue.. I have experienced it too. What happens is that the front wheels lock up when the surface is loose, like on roads with gravel or dusty/sandy roads. Also because of the classic cruiser style kicked out front forks braking on the Avenger (as I have found out) is different than regular road bikes. One needs to be easy on the front brakes, especially on bad roads and the rear brake also needs to be used a bit more than regular bikes. About the enigine, yes the engine has been adapted from the Pulsars.. will have to check out how the new engine performs (as the latest Pulsar engines have improved in the refinement compared to the older engines). Like Sankoobaba, there are guys who like cruiser styled bikes. nice reply to "dies" payeng. 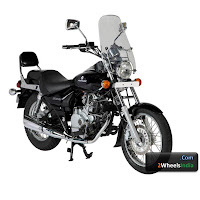 payeng, is the engine borrowed from pulsar 220 or its different? never been an avenger fan..and have always believed that it is an overrated bike. however it is good that bajaj is paying attention to it. A test ride would clear doubts whether you should go for the Avenger 220. Riding an Avenger is a different experience from other bikes currently in the market. I HAV BUYED AVENGER 220 FROM NAGPUR PROBIKING COLOR-BLUE..
1.REAR BRAKE R VRY SLOW. BUT M SURE U'll just "FEEL LIKE A GOD" 4 SURE..!!! I need a test ride of Avenger-220.I have called more than 10 Bajaj Dealers - Vashi,Kanjur,Thane etc. but they didn't offer quoting that it is not available anywhere ! Is this true?I will be glad to know about a dealer store which can give me the test ride. Only plus point i experienced is the great pickup. In october price increased by 2k , is there any chance of price slash in a month or so? Which one should i go for? i have read both user reviews? what u say? if you are freaking out because of my previous review on the Avenger 200, then you should not worry at all. I never said that the Avenger is a bad bike.. I just said that it was not my kind of bike.. That's all. Hey guys any new avenger220 dts-i User? Please guide me shud i go for it? What's the mileage? And what about the braking issue ?? is it continuing in this version even?? I have tried both CBZ Xtreme and hunk and they are hell behind of avenger.. This is Aaron from chennai. I saw the above comments and all your suggestions... 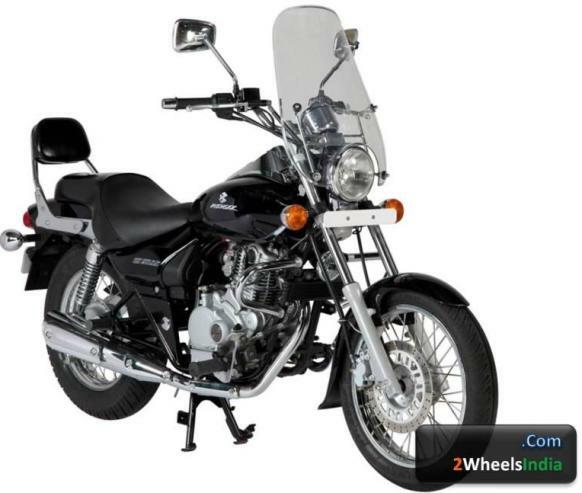 I booked the Avenger 220-DTSi, awaiting for the bike... Within 6 Days i'll be get the bike. Am so existing about the bike... Thanks for all your comments. i really liked the bike at first when i sat on it i had a back pain bcus i usually have the habit of riding pulsar but later i realized that the posture in which i was sitting was wrong n now m very comfortable riding it. i have booked it and it will be arriving soon. i am only a bit upset with the rear brakes as there is no disc brake.... but i still luv the bike. I have this bike form abot 3 months..."i m feeling lyk god"
are pulsar,,CBZ,,Stunner,,,to har dusre londe k pas hoti he...so jst try somethg diffrent...so plz go for avenger..
whats the mileage of aveneger 220i??????? m confused nw what to do...i was thinking of buying an avenger...but nw m giving a second thot..
avenger 220 red owner for 40 days.my cousin owns an avenger for 2+ which i have ridden whenever i visits him. the more you ride the bike more you likes it.its certainly not a bad bike.you gets what you paid for.it lacks a lot what true cruiser haves.but you should have a look at the price tag.breaking is not that bad but the front wheel does lack some grip.do not compare it to sport bikes.it performs completely different.it does lack the tourque of a cruiser though but has a comparatively better acceleration than enfields(not classic).the material quality could have been better.the pillin seat is not comfortable.i have made some changes like custom made crash guards,studds side box(thought about leather but practicality won).got the same colour as the bike.the red bike does attract some attention(used the blue one for quite a while).changing the crash guard does change the look a lot.plans to change the pillion seat head light etc. spending around 10-12 rs could bring a lot of changes in the looks.also i plan to upgrade to k&n performance filers,sparkplugs ,larger oil cooler kits(25plates-found a compatible aluminium alloy fron the internet.looks good too). etc when the warranty period is overslightly wider front tires with better grip may be considered too but surely will affect the milage.i am getting aroung 40+in city(mostly using in the city)and close to 50 in highways after the first service.seating position is quite good .better than most of the bikes lightning,thunderbird,enticer(only comparable bikes).certainly misses the foot board.also bad road does affect the ride quality(but not as bad as some of u have mentioned).till 80 the bike is stable and doesnt vibate a lot(havent tried more than that since its a new one).eventhough it has the same engine from p220 it performs completely different.it does what it is made to do.laid back comfortable cruising for a lot less money.overall the bike will give more than what u paid for. its nt better than R15. Hey guys this is rajan frm hyd.. Suggest me wch byk is bettr? ? my limit is 90000 .. please suggest me a goog bike with mileage and look both. 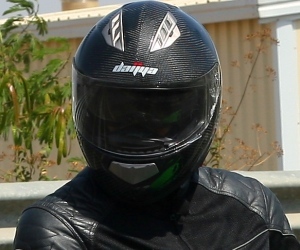 i am having Fazer wanna buy differnt one..please suggest me ..
Pillion seating is very uncomfortable. any body can tell me the actual mileage of avenger 220cc..
hi.. pls let me know the mileage of avenger 220cc ... im planning to buy in feb 2013.
i have already booked black colour avenger220. 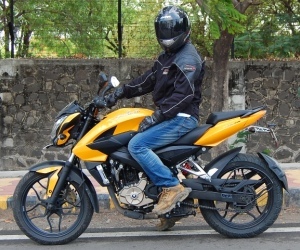 i have read lot of comment in many blog and altogether i found from the comment that the brake and front tyre is the main issue as well as the mileage and repeated model without a noticable change since 180cc. But guys the main thing is we can't find the looks and comfort in another bike within the same price range. so i think nothing is 100% perfect. when u c running this bike in the road you will be blind to the minor weak point and became crazy for it. so don't think too much just love it and buy it. go for it. no bike is 100% perfect. i have already booked the black one and waiting for it impatiently. Guys, believe me it's the best bike in indian market. 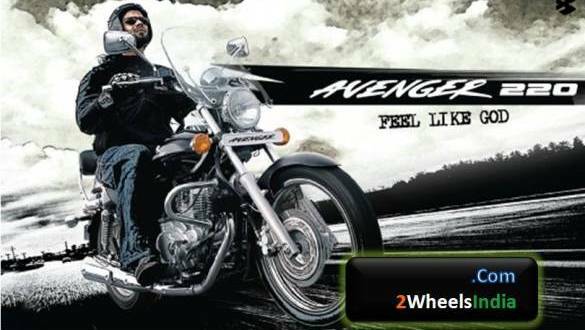 I'm riding bajaj avenger 200 since 2008.
and I have booked new Avenger 220. I tried so many bikes but this is the best. I was confuse this time to choose between Enfield and Avenger. I have decided to buy Avenger. Your Comments are valuable as they keep the conversation alive..
2. 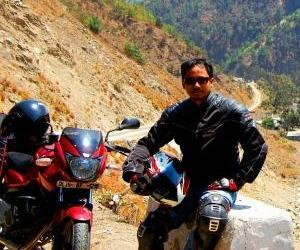 Are motorcycle bloggers just glorified "Laptop Bikers"? 4. Petrol Prices could reach Rs. 100/litre soon..!! 6. 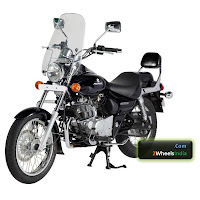 Is Royal Enfield world's oldest motorcycle brand? 8. 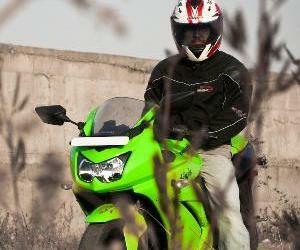 Why are 125cc bikes popular in Europe? What is a Café Racer Motorcycle? What is a Superbike/Super Sports Bike? What is a Street Fighter Motorcycle? How Petrol Pump Attendants try to Cheat you!! How to lose a "Dog Chasing a Bike"
How to physcially visualize "Torque"